Just doing some prep for this evening. Punjabi Chicken Curry, one of Anjum's. ^^^ how does that compare to the South Indian chilli chicken? 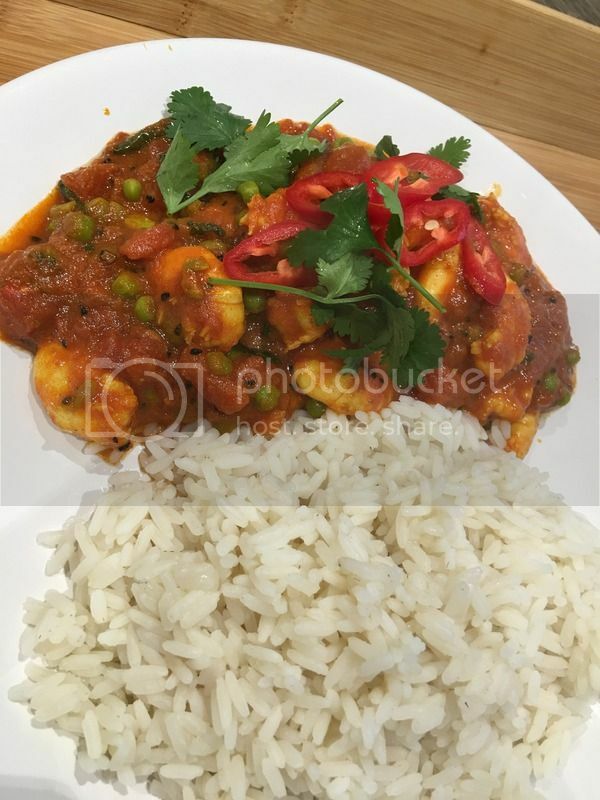 Just found this thread, a big thank you as I keep searching for great Indian recipes and have yet to get the perfect curry. I hope to find it here! Heat the oil in a large pan over medium-high heat. Add the cardamom pods, whole cloves, bay leaves and mustard seeds. The mustard seeds will start to pop; at this point, add the chopped onions and garlic. Cook until onion is soft. Add the chicken pieces to the pan and brown on all sides. Whilst browning, add the root ginger, turmeric, cumin, salt and pepper. Once the chicken is browned, add the chopped tomatoes, ground coriander and chilli powder. Reduce the heat to low, cover the pan and simmer for 30 minutes. After 30 minutes, add the green pepper. Continue to simmer for another 30 minutes. Before serving, garnish with chopped fresh coriander. I know you don't mean it................... Plenty more to come so stay tuned. Pimp My Curry: The New Hot Ingredients: link. More curry related articles at the bottom of the linked page. Made this last night and eveyone enjoyed it. Really hit the spot. Not hot but a gorgeous spiced sauce. I have just finished a left over cold bowl from the fridge and it is restaurant quality. Do you use breast meat or meat on bone?? Tonight we had Chicken Dhansak. Its a 4 stage preparation so not for the feint hearted. Its basically a Chicken curry blended with Tarka Dal. This is restaurant quality. First make the Tarka Dal. This is the fried spices just before they are mixed with the lentils and it was so good I could eat that on its own. This is the best Tarka Dal I have ever tasted. I commend this curry to the house, enjoy. I must make more base sauce!! Its just so time consuming making from scratch ( as you will know). Choose your base sauce recipe carefully. I made a batch which called for quite a bit of black pepper and whilst it isn't hot, it bites the back of your throat quite unpleasantly. Look back for the recipe. I can confirm the south chilli chicken is incredible!! The recipe below. Done this loads of times. Hits the spot. I don't think you've shown the recipe....but if you could that would be great! Day one make the Tikka. Day two make the sauce. Then in your own time combine the two as below. Excellent....thanks very much for that. What's the book in post 58 Luckywatch? ^ Thanks just ordered looking forward to it, are the recipes above from that book? 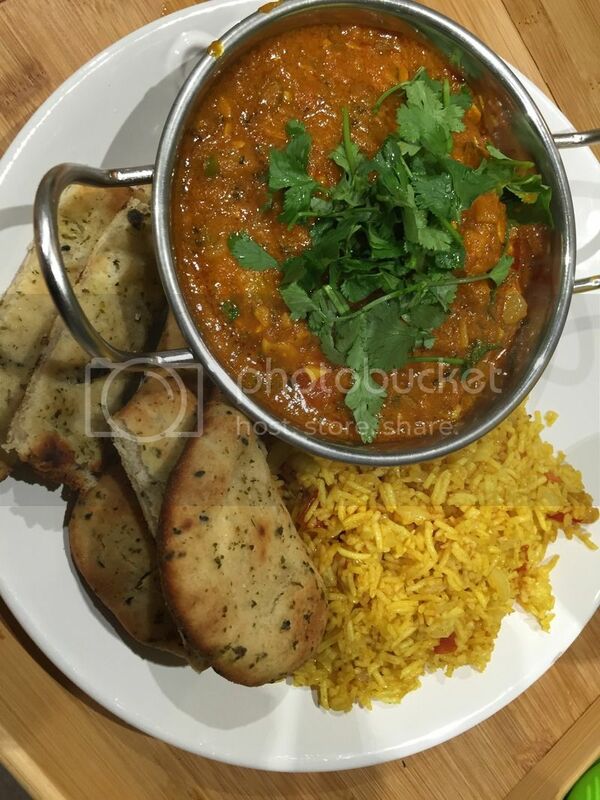 I know we've mentioned this a few times but it really is the best curry ever!! It reminds me of a very high quality jalfrezi. Lucky- have you made the pilau rice out the special book? It's lovely!! I made a big batch of base sauce yesterday so I'm good to go for a while ;) not sure what to try next! 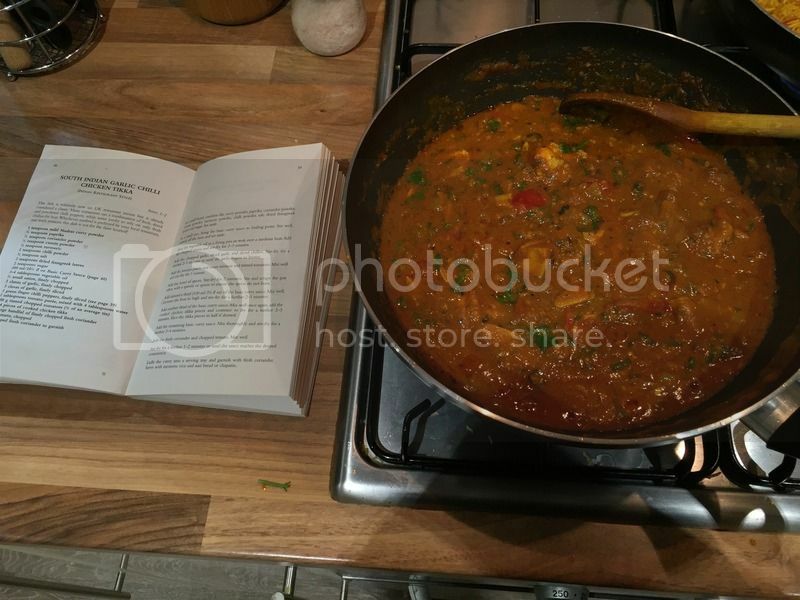 I made the masala but it was a bit sweet and creamy like a korma for my taste! Last edited by alexaff; 13th January 2016 at 22:33. Not tried the Pilau rice yet but I have advised the 710 that we must give it a go. Tasty looking presentation there Alex. This is a sentiment i second! Thank you very much! 4. Fresh Ginger root finely chopped: 4"x1"
1. Heat Ghee in a heavy bottomed pan. Add onions. Fry till onions start to turn brown about 5 minutes. Add salt. 4. Add water. Cook untill the water is gone.. About 8 minutes. 5. Add Chillies (finely chopped) and tomatoes. Keep frying till tomatoes are soft and pulverized. About 10 minutes. This came by way of the wife of a Bengali friend. I subsituted pollock for the Rohu fish mentioned. Sawan Dutta (the chef) is quite hot. I had this in my local Indian restaurant in Twickenham last week and decided to have a go. It's ridiculously easy. Apparently it's quite popular as a breakfast dish which makes sense - it has a pleasant amount of spice without being a real burner. 1. Heat 2 tbsp oil in a deep saucepan - add cumin seeds and cardamom and wait for them to fizz- now add the rice and toss into the oil. 2. Add in the water and simmer until almost dry. 3. Toss in the chopped dill and a pinch of salt and stir through. 1. In a large wok style nonstick pan, add two tbsp oil and heat. Add nigella seed and green chili pierced. 2. Add tomato, sugar, turmeric, chili and simmer, use water to loosen if need be but allow to caramelise and become rich. 3. Add the mustard paste and seasoning along with the peas mix well and then add prawns and simmer for minutes until just cooked. 4. Add a squeeze of lemon. Taste and adjust seasoning. Add a little chopped fresh coriander. 5. Garnish with fresh coriander and red chili. Just ordered this ... looking forward to making some of these dishes - they look fantastic and comments making me want one now! Just made this and it's very easy and lovely. Healthy too. Awesome book. "Absolute Smoothness is essential" I follow that advice in many walks of life. Glad you enjoyed it - it really is an easy recipe. I've experimented with this base further. I'm a big daal fan and so always looking for new ways to make daal. What I did was replace the nigella seeds with cumin seeds and 3/4 cook the daal before adding it into the tomato base (same time as you would the prawns) and cook through. Delicious. Continuing the quick curry theme, came across this recipe - coincidentally also from Sunday Brunch. Key is to get the onions to a lovely soft texture. This really was a stunning dish, loved it and smells amazing too. 1. Assemble all the ingredients before you begin. You need a large non-stick sauté or frying pan. 2. Crush the cardamom pods to loosen the seeds. Remove the stalk from the chilli, if necessary, then cut the chilli in half lengthways. Skin, halve and thinly slice the onion. 3. Melt the coconut oil over a medium-high heat in the pan. Add the cardamom pods and their seeds, the cloves and cinnamon, and stir until the spices crackle. Add the green chilli, onion and curry leaves, and continue stirring until the onion is just lightly coloured. 4. Turn the heat to medium. Add the ginger-garlic paste and stir it into the oil for 30 seconds. Add the black pepper and turmeric and stir for a further 30 seconds to cook the spices. Watch closely so they do not burn. 5. Stir in the coconut milk and water. Season with salt and bring to the boil, then leave to simmer, uncovered, while you prepare the fish. 6. Cut each fish fillet into 4cm slices and season the slices with salt. Stir them directly to the curry and leave to simmer, uncovered, for 5 minutes, or until the fish is cooked through and the flesh starts to curl slightly. Take care not to over-cook the fish. 7. Squeeze 1 teaspoon lime juice into the curry to cut the richness and adjust the seasoning with salt, if necessary. See the recipe below. I used chicken quarters and I got my assistant to blitz the liquid, when all was cooked, with a blender. I cooked on the hob, no 1, for about 2 hours. Then let it cool and into the fridge overnight. Then reheated for an hour or so next day. The cast iron job really does cook well and I recommend its use not just for Indian dishes. Here it is on the second day. I used to make more curry than now, and used to make up a huge wok of curry puree as a base. Not sure I would waste prawns on an ultra-hot curry, mind- chicken or turkey would do for that.